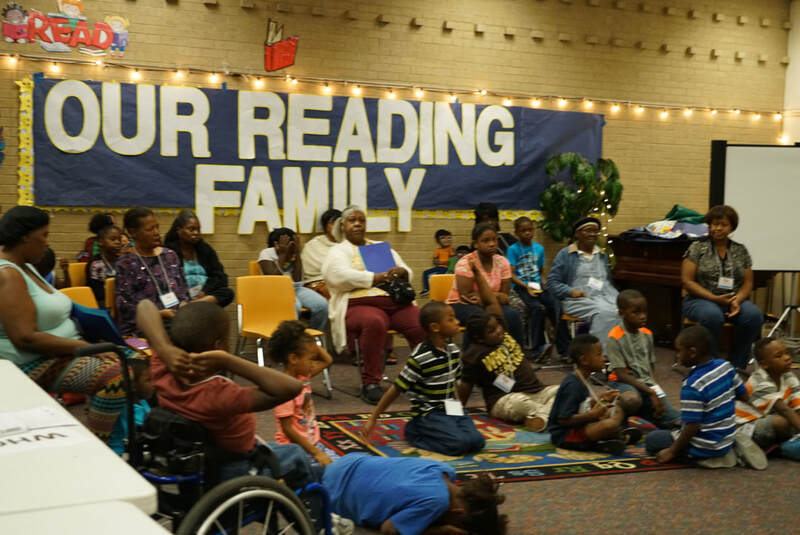 Our Reading Family (ORF) engages families with literacy and supports them in developing a love of reading, together. ​ORF programs last for six weeks, meeting weekly. At each session, there are activities for kids and enrichment opportunities for parents, as well as portions of the program where families and kids learn, laugh, and share stories together! Sessions feature storytelling, improvisational comedy, reading interventions, and more! Childcare, parental support, and resources, too! Participants rave about their ORF experiences! Check out some of our amazing program partners and see how excited the whole community is about this all-family approach to literacy. Learn more about Our Reading Family! Interested in starting your own Our Reading Family program site? We're happy to hear it - and we're excited to help you begin your ORF journey. ​Email Dave Miller to get started today!